It is officially the 6 month of this little space on the internet. Literally how? I can’t fathom what the last 6 months has thrown at me, it’s rather insane and I’m slightly gobsmacked. The friends I’ve made, the opportunities I’ve had and the confidence I’ve grown…already…thank you, just, thank you. So, in light of my 6 month of blogging. 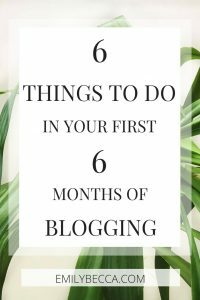 What would be more fitting than 6 things to do in your first 6 months of blogging. Let’s dive right in, shall we? When I was looking into blogging and started out, I read many a posts like this and I constantly read about going self hosted. At first I was sceptical, but now I honestly couldn’t agree more. If you believe your blog is going to stick around and you want to invest in it, it’s usually around £40 and will change the game. I’m not saying having .blogspot or .wordpress in your domain means nobody will take you seriously, of course they will, but everything just looks a little more professional. 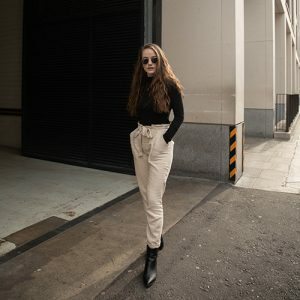 I have found my following slowed down dramatically when going self-hosted, but my viewing and engagement increased – as to why? Not a clue. I went self hosted in my fourth month of blogging, and after lots of pondering I finally went with Siteground. Who couldn’t have been better in helping me and getting me on my feet. If you don’t like the idea of diving right in, buy your own domain, I do think that is the main pivot in all this! Some of us blog with the intention of working with brands, some, don’t. But I would highly suggest getting yourself ‘out there’, making yourself known to brands and PR companies will always be in your favour. My reasoning? It’s an experience blogging offers which not many other platforms could. It helps with your writing, creates you somewhat of a portfolio if you’re looking to really build your blog and is exposure for you and advertising for them. Possibly the most important of the 6? Get a Twitter, get an Instagram, talk to people, join in chats, go to events and meet bloggers face to face. Do it all. As well as making blogging a more pleasurable experience altogether, it creates relationships that are priceless. It helps you to observe, learn and develop in your blogging and equally share your knowledge to others. In general, the blogging community is a really lovely and everyone is in the same boat in one way or another. As mentioned before, social media is the best way to network, Twitter especially. Twitter chats and RT accounts will get you on your feet in the community and start creating your circle. Events are daunting, but for me made everything a little more…real? If you’re unfamiliar with guest posting – it goes one or two ways. Either, you write a post on someone else’s blog, or you invite someone to write on yours. It takes a little more to do that however that’s the general idea. But it’s the perfect way to get yourself out there in blogsphere, connect with other bloggers, share your work and help others share theirs. I’ve done a few now on many different sites and it’s helped massively in upping my engagement – as people get a taste for you and your writing, whatever that may be about. A similar approach is collabing with other bloggers on posts, or even doing tags! A good old makeover is great to catch eyes and a sleek professional look keeps people coming back. If you’re not self hosted and on WordPress, then this is slightly more limited but not impossible of course. Add some widgets or a header, change up the little bits. If you do go self hosted, however, you’re free to really spruce up the blog – buy a theme, you can find lots on Etsy for as cheap as £2 with such a wide range to suit every blog! Sprucing up the blog could also include updating your about page or contact page, cleaning up your sidebar or even getting a few new photography props to up your pictures. The classic saying of ‘don’t compare your year 1 to someone’s year 4’. This is only the first 6 months of your hopefully long blogging journey. Baby steps, baby steps. Use it as a time to really get into the blogging community and find your feet. Get inspired and make your goals, it won’t come handed to you on a silver plate alas, but all great things take time and I think that giving it time and working on your blog bit by bit really helps find your place. I hope these helped, there’s probably a million things people ‘should do’ when starting a blog. But to me these are some of the cardinal ones. Hi Em, I’d be interested in reading a post on reaching out to brands? These are really helpful, one thing that I need to work on is purchasing a domain and attending blogging events. I’m more of a homebody so this will definitely help push me out of my comfort zone. Great tips em! I love attending blogger events! I honestly wish I could attend more but they’re always in London! Living in the midlands can be difficult to get to there! This was very interesting to read as I’m still 1 month into blogging and haven’t made my mind about going self-hosted. When do you think it’s the best time to do it? 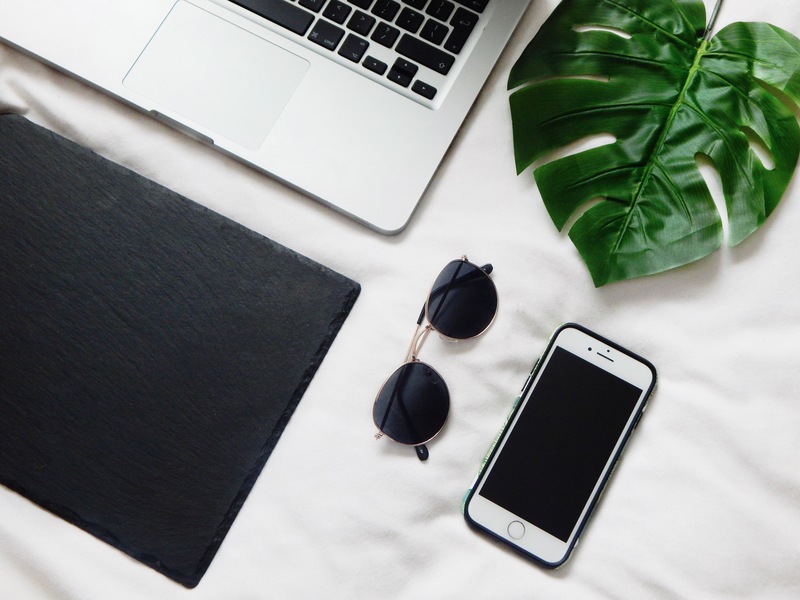 This is a great guide for new bloggers ….Even I don’t have a self josted site but definitely get one as early as possible …And twitter is best for this , result is that I found you and many to follow and learn from ….